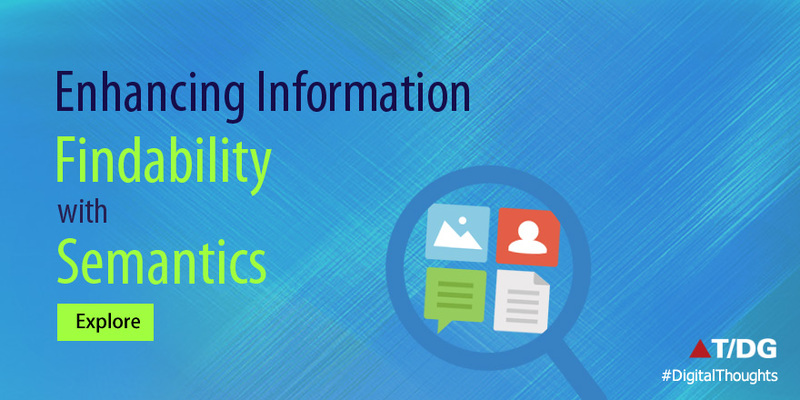 Findability is about making information easier to find. Findability is what unlocks the value of content, and transforms content into knowledge. After all, what cannot be found, might as well, not exist. This fact has been known for ages; findability is the reason we have index and appendix in books from centuries. With the evolution of digital content and World Wide Web, there has been an information explode. With the ever increasing volume of content and increasing pressures of time, money, and competition, more of us are finding ‘Findability’ a very important. Information Retrieval has developed into a highly researched area and search engine capabilities have been improving to help us find the proverbial needle in the haystack. Traditional document indexing/material cataloging and web information architecture do not go deep enough. Indexing is usually at the document level, and cataloging only works on the level of the material as a whole (books, sound recordings, video recordings, etc.). The traditional search systems, are actually, only ‘matching’ systems without any understanding of context and context. The limitations of traditional information retrieval systems give rise to “Semantic tagging” and “Semantic search”. Semantic Tagging makes content more discoverable, more useful, and more valuable. ‘Semantics’ mean ‘meaning-based’. ‘Semantic tagging’ refers to tagging or marking the content with tags that are meaningfully relevant to the content and not merely matching. Semantic tagging appears in various forms like Categorization or classification of content based on semantic content of the document, Thesauri or Vocabulary mapping into the content, Named Entity and common entity extraction, Topic extraction, Semantic Disambiguation etc. The indexing should be coupled with an appropriate search system, that attempts to understand user keyword, disambiguate the user query using context and presents an easy to explore visualization. The ease of finding depends on how information is presented.. and how many clicks and how many seconds it took the user to get the information he wanted. A good, intuitive, exploratory visualization is an integral aspect of an effective search system. Some features of an engaging UI are Faceted navigation helps slice and dice the information in a very effective way. Clickable graph is another useful way to explore a knowledge network. Word clusters with interlinks, highlights, filters, graphs and charts etc are other ways to make UI effective. There is no doubt that the information findability is becoming more important and also more challenging with the information explode. Semantics is our greatest ally in this task and when used carefully, we can effectively find that proverbial needle in the haystack.